So you’re going to hire your first nanny. Professional nannies can provide a level of care for your child that is simply not available in a day care setting. Your nanny will be focused on your children and your children alone and they will not be required to divide their attention amongst many different children as it is in a daycare. Also, your children will have the opportunity to be cared for in the comfortable environment of your home and to develop a close bond with a nurturing caregiver. Remaining in the comfort of your home can help children with changes like your return to work. Minimizing changes during transitions such as these will be very helpful in keeping stress low and for you and for your child. 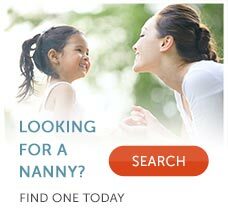 There are many other things to consider when you are hiring your first nanny. You may be becoming a nanny employer for the first time and you will need to learn about the responsibilities associated with having an employee. It’s important that you think about your specific family’s needs, including your cultural background and how that influences your life, as well as the activities you and your family enjoy, whether or not you have pets, and practical needs like days and hours. Additionally, you may want to think about the type of nanny you envision in your home. A college nanny? Or a grandmotherly sort? A professional nanny? Someone whose responsibilities include other household duties, such as a nanny housekeeper, or will they be responsible for only things child-related? Once you find a few candidates, you’ll want to review their nanny resumes and then place a call to each candidate and conduct a preliminary nanny interview over the phone. Additionally, you will want to begin employment checking, as well as check their personal references. Once you have a few “finalists,” you’ll want to set up an in-person interview. Having a first interview at a coffee shop near your house will help you maintain a level of privacy. The second interview should definitely take place in your home with your children. Once you have interviewed the nanny a second time, it’s time for you to schedule a “try-out” period where your nanny comes in and completes a trial day or up to a week. After you find the right nanny, you should let the candidate know that you are interested in hiring her pending a nanny background check. Following a clean nanny background check, you should offer the position as well as develop a formal work agreement. The first 3 weeks to 3 months are a period when nannies and families are learning about each other. It’s important that during this time period you check in with your nanny on a weekly or at least monthly basis about what is working and what is not working. It’s important for you and your child that you develop a good working relationship with your nanny. The most important piece to this is good communication. Good communication needs to start from the very beginning. Congrats, you are on your way! The benefits of having a professional nanny are so rewarding for children. Hiring your first nanny may feel scary and you may feel as though you are in uncharted waters, however, as long as you do your homework and learn about the process, you are going to do just fine!